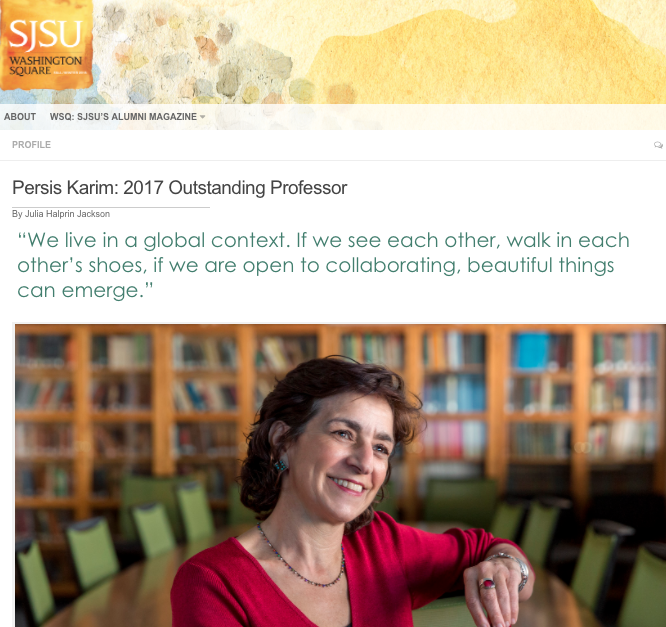 Dr. Persis Karim holds the Neda Nobari Endowed Chair and is the director of the newly-established Center for Iranian Diaspora Studies at San Francisco State University. She is also a professor in the Department of Comparative Literature. Prior to coming to San Francisco State University, Dr. Karim was the founding director of Persian Studies at San Jose State University where she taught courses in world and comparative literature, US ethnic and diaspora literature, global studies, film, and Middle East Studies. She also coordinated the Middle East Studies minor program. Her groundbreaking and critical work on literature and culture of the Iranian diaspora, as well as her role in collecting and editing three anthologies of Iranian diaspora literature, have earned her recognition and respect in several fields including literary, diaspora and Iranian studies. 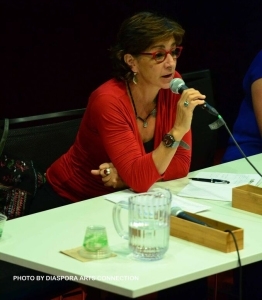 She has contributed to the formation of a new field and an accompanying vocabulary for this emerging field; she is regularly invited to speak on Iranian diaspora narratives, storytelling and archive building, and is well-known as a dynamic and innovative collaborator both in and outside academia. For more information, contact Professor Karim here.